I couldn't believe that I had made such a mistake. I thought to myself: what better place for a viking like me to conquer, than an island with the name of "24 Karat"? I imagined gold everywhere, it's wealth bursting from the ground. Also, it was only a short trip from Super Power island. I realized my error as soon as I had arrived, learning that the wealth bursting from the ground was in it's CARROT crop... not gold. 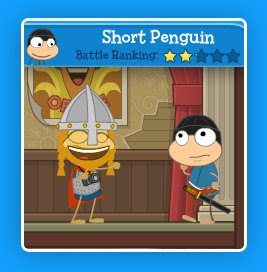 I decided to join the group at the closed movie theater for a bit of bubblegum and a game or two, and ran into a Poptropican named Short Penguin! He wasn't short by any means because he was just as tall as I, and we all know that I am of great stature! He was kind enough to stand still for his portrait amid the bustle of the crowd. Now I have another friend to add to my list! Keep ever vigilant in watching for me, because you may be the next one featured in Snapshot Sagas! My adventures have taken me to even stranger places lately. I recently came across some very odd creatures in glass containers. I was glad to leave the place! 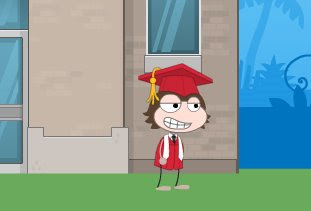 Get your cap and gown on Super Power and Shark Tooth Islands! 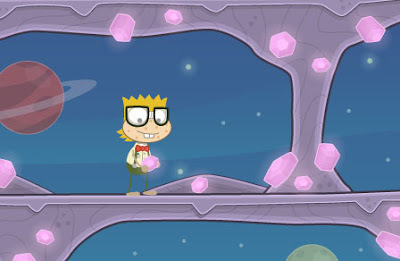 Who was that flying Poptropican? Why did she attack me? I was minding my own business while floating around Super Power Island in the airship when she just zoomed by and blasted me! It destroyed the basket I was sitting in and I fell down onto the roof of a large building (falling from somewhere seems to be a common occurrence for me now). I made my way inside the structure and found a frantic group of people dressed in colorful costumes competing in games like Star Link and Soup Words. 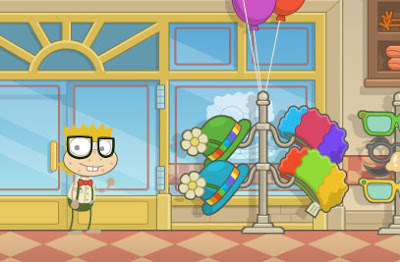 I hopped up out of the fray and another Poptropican followed me to the printing press and challenged me to a friendly game of Balloons where we were evenly matched! After our game I was able to snap a portrait of her before she sped off... I think she was on her way to help capture that flying menace and bring her to justice before she blasted anyone else out of the sky! 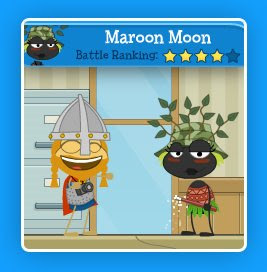 I believe in you Maroon Moon! 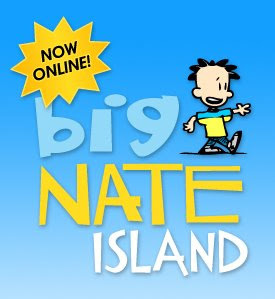 Be sure to head over to Klassic Komix on Big Nate island if you haven't already. 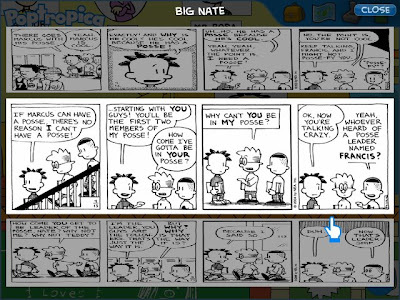 You can read tons of Big Nate comics there! Yesterday was a big day! 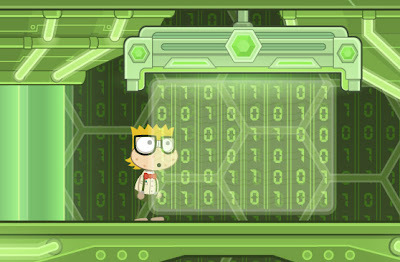 I was marveling over the Future Machine inside Pendulum's Lab when one of the assistants burst through the door excitedly. All I heard from the anxious scientist was something about a new island being discovered and I bolted outside! I was almost too late to board the airship as it began to float away, but I was able to grab the rope that dangled from the basket before it could soar out of reach. I arrived swiftly with tired arms and raw hands, and was greeted by an unfriendly bird that knocked me from the rope. Why do I always have such difficult travels? 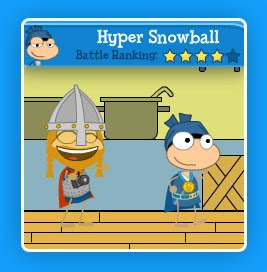 I soon found my way into Cap'n Salty's, where I made friends with Hyper Snowball! 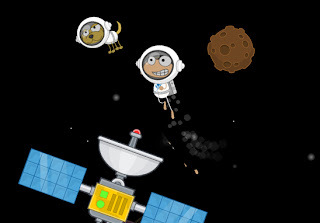 Here is a snapshot of us in the kitchen looking for the cook. We were both very hungry, but couldn't find anything to eat! 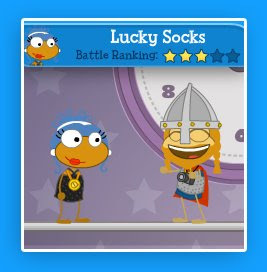 Keep looking for me as you travel the world of Poptropica, and you might be the next person featured in Snapshot Sagas! Looks like my Rabbot has been wreaking havoc again! 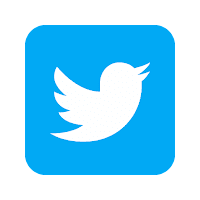 Some of you may have had trouble logging in recently. If so, please close the game and then try logging in again. Enter the comic strip world of Big Nate! 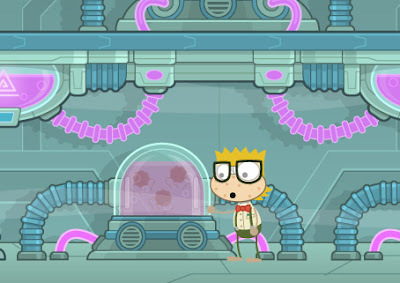 Head over to Poptropica to start a new kind of adventure! After a wonderful breakfast of crispy bacon and fluffy pancakes in early poptropica, I set sail in an 8-bit schooner that left harbor early that morning. The sea was calm, and the sky was clear. This trip was turning out very differently from the perilous voyage I took from Shark Tooth Island on my makeshift raft. The weather soon changed, however, while I was relaxing in a hammock tied between the masts. 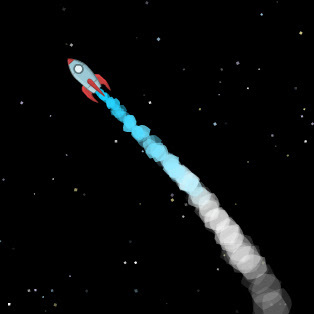 A bright light flashed across the sky, nearly blinding me. As the spots in my vision faded I beheld a grand vortex of swirling color where the clouds had once been. I felt myself being pulled up to the vortex. Crazy visions swirled past me as I flew through the void. I could see far off places like the Great Wall of China, the earthen structures from the Mali Empire, and even a band of my viking brothers stranded on a deserted island in a stormy sea! Many windows into different lands and times all flowed past me as I approached another bright light. I thought I had reached my end. There was a flash of light, and I found myself in the middle of a street. I sat up, rubbing my bruised beard and checked my camera. Luckily it still worked! I jumped up and looked around to see where I was. A nearby building towered over my head. It was the Party Time Tower! 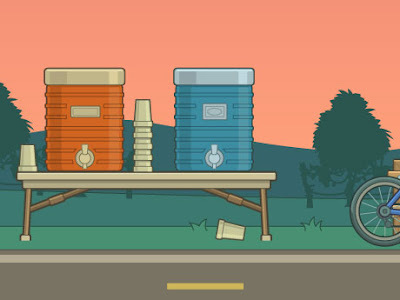 I was sure I would find some Poptropicans to photograph inside, and I was right! Lucky Socks was having fun running around and playing games.